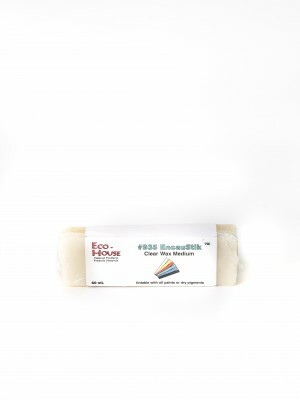 #921 CoZiCa™ Drier Blend | Eco-House Inc.
#921 CoZiCa™ Drier Blend is an extraordinary drier containing cobalt, zirconium and calcium octoates, dissolved in #115 Xtra Mild Citrus Thinner without aromatics. SKU: N/A. 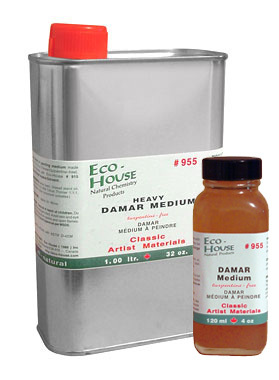 Categories: Fine Art Materials, Damar Mediums, Oil Painting Mediums. 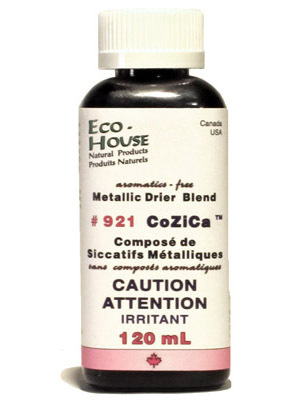 #921 CoZiCa™ Drier Blend is an extraordinary drier containing cobalt, zirconium and calcium octoates, dissolved in #115 Xtra Mild Citrus Thinner without aromatics. This blend is highly effective despite its minimal cobalt content, which makes it suitable also for lighter colour shades. 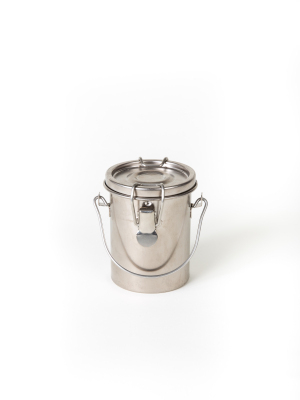 Use only a few drops to reduce the drying times of “drying” plant oils and stand oils. Faint smell of orange oil – almost odorless.